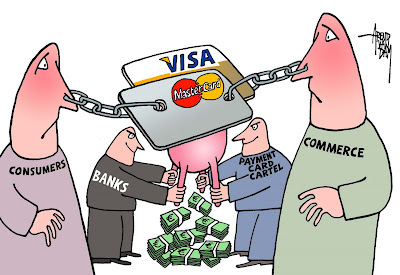 Fees of credit cards are one of the biggest issues for all the consumers & business holders. Actually credit card holders are paying their bills within time but the credit card companies are creating the problems as they are doing business. Then card issuers trust their customers that they have failed to pay their money within time & they need to pay late fees. As i mentioned before always pay your bill with in time. If something comes up & you are not able to pay the bill then also credit card companies will never listen to any excuse against it. Because that is the way to earn money for them. What is your due date? You need to know your due date which is very important. And try to make your payment before 1 or 2 weeks of your due date to avoid all these late fees.Do one thing need to know your due date before signing up for your credit card. Always pay the minimum: If you are unable to pay the full amount then at list try to pay the minimum amount (to cover your minimum monthly payment). Sometimes there is options call skip a payment. Try to avoid that options but choose it only when all other doors are closed for you. You should always plan ahead in order to make sure you have a backup amount in place to pay your minimum balances for a couple of months. In an ideal world, you don't spend the money that you don't have. However, as long as you keep making your minimum payments, your credit history will be fine, and you will avoid late fees. Nice article. I never had problems with credit card companies as i pay my bills on time.